Water pollution means the change in water quality for worse. Water pollution takes place due to decline in chemical, physical and biological properties of water, as a fall-out of mixture of harmful substances in water resources by human activities and natural processes. A variety of such substances get merged into sources of water, leading to water pollution. Polluted water leaves a highly negative impact on man as also on trees-plants, and animals. Polluted water becomes dangerous for consumption by humans, plants and animals. Its use leads to the outbreak of deadly diseases such as cholera, TB, jaundice, Typhoid, paralysis, polio etc. Water pollution is directly related to excessive, unbridled use of water. In cities, there is a huge consumption of water; and through sewers and drains, the resultant waste water is dropped in water sources. This water contains several toxic chemicals and organic materials, making clean water of water sources highly polluted. The substances released from industrial units also lead to water pollution. Additionally, there is some amount of water which is polluted from natural causes too. Broadly, there are two main sources of water pollution: natural and human. Natural form of water pollution is due to erosion in water, usually caused by rainfall and runoff on a slope. Another reason is mixture of minerals, leaves of plant, humus material (a dark, organic material that forms in soil due to decay of plant and animal matter) and human/animal excreta, etc into water. If there is high amount of toxic elements – arsenic, lead, cadmium and mercury, etc – in the soil where water is collected, they tend to get mixed in water. If their quantities are more than optimal concentrations, they become harmful. In addition to the above toxic substances, nickel, barium, beryllium, cobalt, molybdenum, tin, vanadium, etc are naturally present in water in small amounts. The acts of people bathing, washing clothes, bathing the animals, and cleaning utensils in the ponds and canals, also lead to contamination of water sources. In homes, as a result of various daily chores, domestic waste effluents (sewage) are discharged into drains and eventually into water bodies. Such effluents include rotten fruits and vegetables, kitchen stove ashes produced in homes, different kind of rubbish, rags of clothing, detergent substances, dirty water and other waste material. Today, use of synthetic detergents in cleaning activities is increasing day by day, which has become a permanent source of water pollution as all these materials get mixed into the water sources. The water which is used for domestic purpose such as bathing, washing, etc passes into the rivers, ponds, etc. through drains. It carries forward other hazardous materials too along with it. 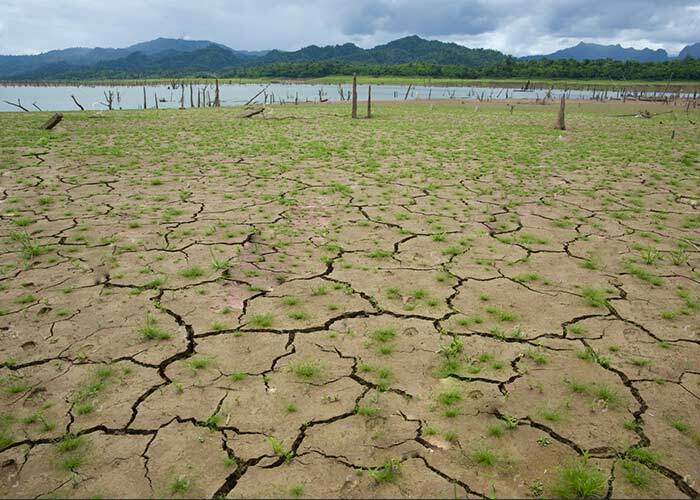 The situation remains critical due to the pressure of uncontrolled population on water resources. It is a matter of deep concern that to carry out excrement removal as a result of population growth, excreta is discharged into rivers and canals, etc. It is because of this filth that our water sources are getting contaminated. In fact, the word water pollution was first used in the context of pollution generated by human waste. If bacteria normally found in human intestines are found present in the water, it is deemed contaminated water, unfit for human use. Sewage includes mainly human excreta released from domestic and public toilets. Both organic and inorganic substances are present in sewage. 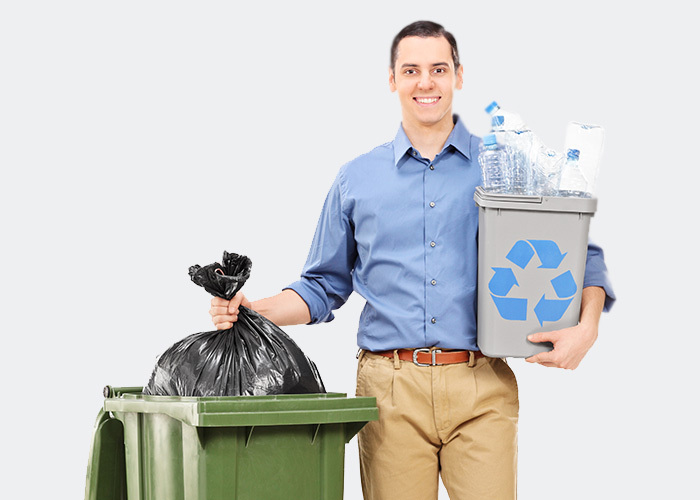 Most of the solid waste is organic which contains dead micro-organisms and sometimes alive bacteria. Due to excess of organic matter, various types of bacteria, protozoa, viruses, fungi and algae, tend to increase exponentially. This kind of contaminated sewage, when mixed into water sources through drainage without treatment, causes severe water pollution. In open areas, human and animal faeces flowing into water sources along with rainwater become the causes of water pollution. Such pollution is called biological water pollution. As per an estimate, 10 lakh people generate 5 million tons of sewage in one year, much of which passes into rivers and the sea. In India, as per an estimate, there are only 8 out of 142 cities with a population of over one lakh, which have complete facilities of sewage disposal system. Out of these, 62 cities have average (so-so) system for waste disposal whereas in 72 cities there are no proper arrangements. 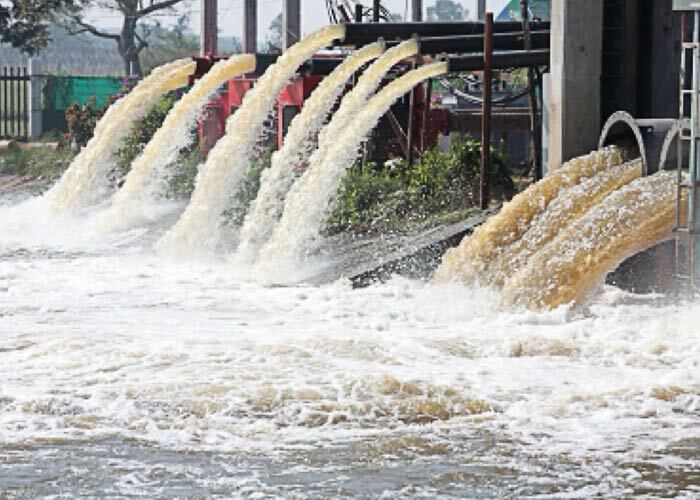 As a result of industrialization, the number of factories has multiplied today, but their waste is discharged into the rivers, canals, ponds, and other water sources. Due to all this, not only there is an adverse effect on animals and plants, but the water too does not remain potable and becomes unfit for consumption. 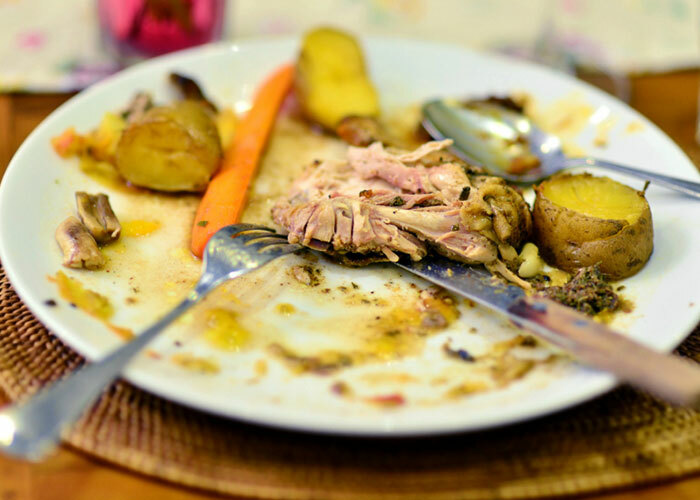 In almost every industry after the production process, many substances are left unused; they are called industrial waste material in which a variety of acids, alkali, salts, oils, fats and toxic chemicals remain present. When they flow into water, they make water toxic. Huge amounts of waste materials are released into water sources by pulp and paper industry, sugar industry, textile industry, leather industry, wine industry, pharmaceutical industry, food processing industry and chemical industry. Most industrial waste contains organic matter, which is decomposed by bacteria. But this process is very slow, resulting in stench due to which the water of drainage bearing waste gets polluted. Among such material, plastic is not as toxic as poisonous chemicals, but it carries risk to seabirds, fish, and other marine creatures as they are prone to eating plastic residues. Pure drinking water’s natural colour is light brown, but the coloured water streaming out of factories and industries, is tainted. Unfortunately, clean, pure water has become a rare phenomenon today. The use of new methods in agriculture with a view to boost production has witnessed significant increase. This is an outcome of the Green Revolution. But due to new methods in agriculture, whereas there has been increase in irrigation, on the other hand, the use of chemical fertilizers, pesticides, etc has also increased exponentially. So, the price of success in agriculture is being paid in the form of damage to the environment. There has been excessive increase in soil erosion due to agricultural practices, thereby blocking the passage of rivers and rise in the level of riverbeds. The lakes are gradually flattening out. Water is becoming contaminated by the deposition of clay mud. Thermal pollution is produced by means of additional steam in nuclear power driven power plants. Water from rivers and ponds is used in production plants of various reactors for the prevention of their hyper-thermal effects. Natural water in substantial volume is used for cooling in power plants. This water used for cooling is discharged back into lakes, rivers or ocean, with a significant temperature increase, which can have serious adverse effects on aquatic life. The warm water increases the temperature of water resources, resulting in the water pollution. It leads to depletion of oxygen in environment, which is extremely harmful for fish and other animals. Thermal pollution has deleterious effects on water organisms. Large creatures cannot tolerate temperatures. The increase in water temperature reduces the solubility of oxygen and leads to an increase in the amount of salts. The flow of oil and oily substances from industrial plants into the river and other water sources causes oil pollution. Once it led to fire near Munger in Bihar, as a result of dumping of oil refinery waste into the Ganga. There is a serious risk of oil pollution in rivers. The immersion of cooking oil after use, the flowing of petrol, diesel used in vehicles, residue of oil and petroleum products, into the river in some form or the other, impedes the river’s self-purification process. There is much more probability of oil pollution in the oceans due to oil seepage from oil carrier ships and when fierce fire breaks out due to accidents. For various reasons, according to an estimate, about 50 lakh to 1 crore tonnes of petroleum products are leaked into the sea per annum. Due to nuclear explosions, a number of radioactive particles spread far and wide in the air and later sink to the ground slowly. For various reasons, these particles get merged in the water sources and get access to the human body through the food chain. Radioactive materials make the water toxic after they find their way into water sources. Since the disintegration of radioactive particles is very slow, their effects in the water persist for a long time. Also, when nuclear tests are carried out under water, their nuclear particles get merged in the water, thus contaminating it. There are some cities along the banks of the river where after the death of a person, his body is drained into the water. The body rots increases the number of bacteria in the water, which emits foul smell and the water gets polluted. Often, the part of the river along the cities or industries situated on its bank is highly polluted because the wastewater and the garbage emanating from them are discharged directly into the rivers. Also, people residing in villages, towns and cities along the river bank depend on the river for multiple activities. The use of detergents, soap, ash etc during sanitation activities and immersion of religious idols, worship materials, flower garlands in rivers during various rituals by them increases the pollution of rivers manifold. The use of rivers in washing vehicles, and cleaning agricultural pumps, equipment etc, which may contain pesticides, chemical fertilizers, etc, compounds the quantum of pollution. Harmful chemicals present in the water of the rivers and the sea are proving disastrous for the animal world, thus becoming the cause of their destruction. The acts of people bathing, washing clothes, bathing the animals, and cleaning utensils in the village ponds and canals, also lead to contamination of water sources. Garbage generated in homes and factories, bandages, medicines, plaster, etc thrown from hospitals, find their way into water sources, which all lead to increase in pollution, ultimately causing floods and other natural disasters. Despite government legislation, polythene bags are being openly used and thrown into water sources. Water is an integral part of the environment we breathe in. It is one of the basic needs of mankind. Having clean water is vital to human health. Man is able to survive only a few days in the absence of water because a great part of the human body is only water. So, one cannot imagine the life of any person, leave alone civilization, in the absence of clean water. We receive water for our use from rivers, ponds, wells, lakes, etc. Despite knowing all this, man is injecting harmful substances into water bodies with the result that water is becoming extremely polluted. The water that smells bad or does not give good taste, such contaminated water is not meant for drinking. But the scarcity of water does not allow people to abandon it completely. Population growth, industrialization, and other causes cited above, have had a negative impact on our water sources, a palpable proof of which is our sacred river Ganga whose waters earlier used to remain clean despite being kept for several years, but today contamination has crept into not only the Ganga but many other rivers and water sources. In fact, rivers are the mainstay of ecological system and it is in harmony with them that the humans, flora and fauna have evolved in the creation. In fact, a river is a full ecological unit where there is a sense of balance in all its organisms, and a food chain. As long as this co-relation is healthy, the water is naturally healthy. As water gets polluted, the whole food chain is imbalanced, threatening biodiversity and extinction of several animals, especially aquatic organisms. If we have to save human civilization from the dangers of water pollution, preventing the degradation of this natural resource is absolutely necessary. So, we should take appropriate measures to prevent the pollution of water, the elixir of life.